Get the best price when you sell your car anywhere in New Zealand by contacting Used Car Guys today. Selling with Used Car Guys is quick and simple. We’ve helped more than 10,000 people convert their vehicles into instant money in the last 5 years and are proud to be the New Zealand’s most trusted used car buyers. 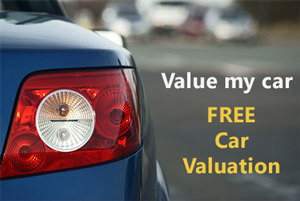 Get a free car valuation by providing your car’s registration and mileage details. If you’re asking the question “Where to Sell My Car in New Zealand?“, Used Car Guys have the answer. We’ll ensure buyers across north island and throughout south island get to purchase your unwanted vehicle, so make the decision to sell to UCG today. How to sell my car in New Zealand? Selling your second hand car in New Zealand is simple, quick and hassle-free with Used Car Guys. You’ll avoid the time wasters you may encounter when you try to sell your vehicle privately, and there’s no need to splash out on advertising your car and waiting for the right car buyer to turn up! As well as our Auckland office, we also have branches in Hamilton, Wellington and Christchurch, among others. The process is simple. Fill in our quote form with the details of your car and we’ll get one of our experts to value the car and send you a quote. If you like the price we offer for your car, just give us a call or send us and email and we’ll arrange a time to come and inspect the car. The inspection process is straight forward and quick. If everything looks good, we’ll buy your car there and then. We use either cash for cars or faster payment to transfer money into your bank instantly and we won’t take the car until you’re happy the money is there. Will London Car Buyer buy my car? We buy all makes, models, all ages, all price ranges between NZD500 – NZD50,000. We always pay the most by immediate secure bank transfer or cash in hand. Used Car Guys have over 15 years experience in the motor industry and have access to up to the minute databases to enable us to give you the very BEST price. We do not use a computer program to give a “safe” quote; we thoroughly research your car to give you the BEST quote. Trade in your unwanted car with better one. We provide 24/7 New Zealand-wide Towing Service.